1.4 What Does a Kitchen Remodeling Contractor Do? 1.8 A Kitchen Remodeling By Gulf Remodeling© – Why? Kitchen Remodeling has been our passion & profession for many years, we love everything about it. We love those who want to have an elegant kitchen in their homes or businesses because they understand the value in having one, they know how it can affect the total market value of the property in the best way. They think outside the box and that’s only one reason we appreciate them for. So when it comes to Kitchen Remodeling in Houston TX, our focus is on both conversions and total overhauls/remodels. Overhauling the kitchen design is important at times and a nicely remodeled kitchen can tie the whole theme of the house together beautifully. Overall, our services focus on two important key aspects; one: is customer communication, so we know which kind of work we need to do on the kitchen and two: is to remodel the kitchen exactly according to the customer needs and plan. We believe that your Kitchen Remodeling project in Houston should always be stress-free and you should always be able to get a free quote and a free consultation when you plan to remodel your kitchen. As a customer-focused Kitchen Remodeling Company, Gulf Remodeling aims always to be your trusted kitchen remodeling company. A company that you will be proud to let all your friends and family know that you’ve chosen to go with them because they guarantee their work and really care about how you feel during, at the end and even after your project is delivered. We’re your trustworthy Houston TX kitchen remodeling contractors. Serving Houston TX & all surrounding cities has helped us gain valuable field experiences and successful results. Replace parts of a kitchen (can differ) like the kitchen flooring, tiling, the kitchen cabinets or the kitchen countertops. (click each to learn more). Our kitchen remodeling in Houston usually includes the following, but of course, this is based on your needs and requests. We tailor our work to fit your plan for your new kitchen. The above is just an example, we work according to what our customers desire. That’s why we understand every kitchen is unique and every customer wants something special done. We work with you on the project in a way that guarantees your full satisfaction during your project and at the end. If you’re not happy, we are not happy. Our goal is to help you have the kitchen of your dreams. Save 25% OFF Your Next Project! To make your dream kitchen becomes a reality, that is our goal. By going through different kitchen designs, we outline the overall look of the kitchen and work from there. Personalization and customization is a part of every kitchen and our professionals will make sure to turn the kitchen design you want into a reality. We catalog the latest and the most popular designs and give you an outline of what your end-kitchen may look like. A lot of people in Houston go online and search for the best Kitchen Remodeling Contractors in Houston TX then they select one of the results and contact that remodeling company, we get that as well and we always love to hear our customer call us for questions or assistance, you may have found us online as well. The point is that people always do the right research before going with a kitchen remodeling contractor that can handle any project size and implement any kitchen design or remodeling idea. You always want to make sure that the kitchen remodeling contractor you choose to work with in Houston is a well known company who has the needed experience and requirements to meet your need and work under your budget in order to make your kitchen remodeling project classy & affordable at the same time. Not only that we handle Kitchen Remodeling in Houston TX but we also work in the surrounding cities like La Porte TX, Spring TX and Pearland TX and many more areas in and around Houston, Texas. So yes, you can be rest assured that our Kitchen Remodeling team is serving your area. To find out more, request your quote online. You can call 832-500-7810 today to get a free estimate. What Does a Kitchen Remodeling Contractor Do? A kitchen remodeling contractor is a contractor who specializes in kitchen remodeling jobs or has an extensive experience in it along with other residential remodeling experience, so when you’re thinking about a kitchen remodel you should do the needed research in order to find the best kitchen remodeling contractor in Houston. You then would need to contact that kitchen remodeling contractor and request an estimate, most remodeling contractors will be willing to give you a free consultation and a free estimate (we offer both at Gulf Remodeling) then this kitchen remodeling contractor should respond with a time and plan on when and what he will do during the consultation and if he will give you a free quote. Most Kitchen Remodeling Contractors in Houston that we know of would respond to your initial request within 24-48 hours but we try to keep our response time shorter than that. Once the kitchen remodeling contractor visits you, they will start by talking to you and collecting more details on what you need to do and what are the most important goals you want to reach during and after your Kitchen Remodeling Project. So your kitchen remodeling contractor should easily be able to come and give you an estimate. Note that not all kitchen remodeling companies in Houston would give you an estimate, but at Gulf Remodeling we will be happy to give you a free quote and a free consultation anytime! The MOST important part of your project is this part. Don’t let just anyone handle your project because they promise you a lower cost, it’s all about the results. After your kitchen remodeling contractor collects the needed details and understands your plan, notes and goals then they should have a general idea of how much your kitchen remodel cost will be. However, you should not worry if they don’t give you an on the spot quote. They probably need to get more details from suppliers or request further updates on the current rates in the market so they can match it up with your kitchen remodeling ideas. Always be sure that your kitchen remodeling contractors have the needed insurance and ask for pictures of previous projects, ask if they can stay within your budget or the project will cost a little more or less. You should always be careful from kitchen remodeling contractors who would just agree to your remodeling budget without giving you any details, always ask for details. Choosing the wrong kitchen remodeling contractor can cost you money and time that you can’t afford to lose or risk. At Gulf Remodeling we are always honest with our customers when it comes to the cost of their kitchen remodeling, we understand they are usually looking for the best kitchen remodeling company that will turn their plan into a reality and not just focus on using cheap materials in order to lower the budget. We have our own ways of lowering the costs in order to make it an affordable kitchen remodeling project to our customers. Some companies would tell you it ranges from $6000 to $55000 as an average or maybe more without even giving you the full scope of work and their plan to remodel your kitchen. Not at Gulf Remodeling, we excel in that area because we have the best kitchen remodeling contractors in Houston working on our team. We buy in bulk from our suppliers and factories then we carry it over at the lowest cost to you, our customer. Gulf Remodeling is a Kitchen Remodeling Contractor serving in & around Houston TX that you can trust and depend on from the day you request your free kitchen remodeling estimate to the day you see your new beautiful kitchen. We think redesigning your kitchen is more than simply new cabinetry and devices. It’s about starting your space for new pathways, associations, and experience with the individuals you love. After you update your kitchen, you’re also improving your life. It could be daunting to deal with a kitchen remodel by yourself though. We’re here to help make the process easier and fun! We enjoys transformations and can show you through design development; provide stylish, custom kitchen cabinets; and will appear with you by using an approachable and fashionable solution that you’ll love. We also work meticulously with interior designers, companies, structural designers, architects, sellers, and real-estate realtors. We’ve great human relationships with these industry pros and our relationships provides valuable support of all projects. At least you need to hire a company that knows the difference between Eggersmann vs Poggenpohl designs. Yes, we can always turn your Kitchen Remodeling Ideas into a real life piece of art. Having a nicely designed kitchen is a plus point in every book; we strive to bring market-leading design along with quality and meticulous spacing plans to make the whole kitchen look chic and relevant. If you want an aesthetically pleasing kitchen that is professionally done and has quality appliances which work together for the best. Our Kitchen Designers are professional & flexible. If you want to avail our quality Kitchen Designs, you may continue reading to the end and you may also contact us now. A Kitchen Remodeling By Gulf Remodeling© – Why? As a customer-focused remodeling company, we focus on your absolute happiness. And we also choose the right people to work for us in order to get the job done. Kitchen Remodeling Houston is our main profession and passion. Our kitchen remodeling professionals have worked with and on kitchens for multiple years and are adept in it. They’re local experts who understand the needs and know how to communicate and get the work done according to your full satisfaction. By choosing to train our professionals in dealing with customer requests and by giving them technical communication skills, we make sure that every kitchen is exactly how it should be. 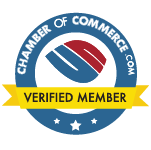 Did we mention that Gulf Remodeling is a verified platinum member of the chamber of commerce ? You deserve a beautiful, unique kitchen, we promise to deliver! We work together with our customers and tell them everything about what’s going on in their kitchen. This allows them to be more involved in the overhauling process and to give us special instructions during the kitchen remodeling process that they feel more comfortable with. By giving advice before and during your Kitchen Remodeling, we make sure that there are no inflicting ideas about the kitchen in any step during the process. A process that has successfully worked for many years and years to come. Fully customized and personalized kitchen remodeling, as you imagined it. Customer support and idea exchange during in every step of the way. Provide fast remodeling time for your kitchen and work under your budget. Kitchen remodeling according to the latest trends, fashions, and needs. Don’t worry about your kitchen remodeling cost, we understand that you’re thinking about the costs involved in this investment and how much your kitchen remodeling may cost you. We have been doing this for quite some time now in Houston, we can assure you that our prices are considered to be from the best in the market. While we can’t guarantee that our price will be the cheapest and we are sure you’re not looking for just that, we can guarantee one thing, the high-quality of our work and materials and the smooth experience. Your Kitchen Remodeling Free Estimate: Other companies make it very difficult for customers to get an estimate, we are always more than happy to give you a FREE quote, just fill out the form or give us a call. 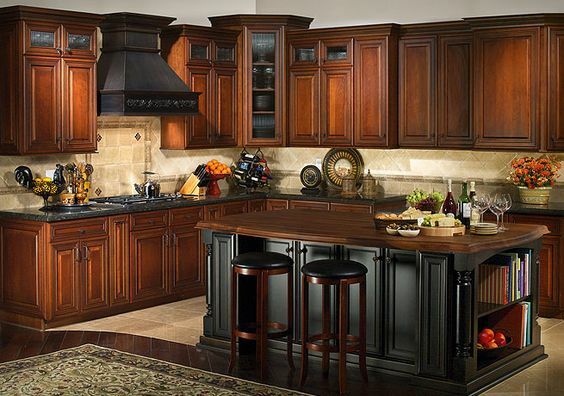 Our kitchen remodeling services are handcrafted and personalized for each and every customer. No two customers will get the same kitchen; we work to create the best possible setup for the budget and provide high-quality materials for the process. It is never only about replacing old with new, it’s about design and how it all comes together. In fact, we search up extensively from our database the best kitchen for your house will be and work from there, so you know that you are getting a unique kitchen like no one has gotten before.